This workshop was delivered Anishinabe First Nation artist, Rolande Souliere where Artists were encouraged to develop personal styles in creating collages from own artworks. This meant that artists would use digital prints of their paintings and then cut and reconstruct in a new artwork through collage. The Green Weavers were introduced to the technique of paper weaving collage and created a series of collages that when combined were up to 4 meters in length. The collage artworks created introduced new elements into the Ilgarijiri (Things Belonging to the Sky) Project and extended the artists mediums beyond 2D paintings. 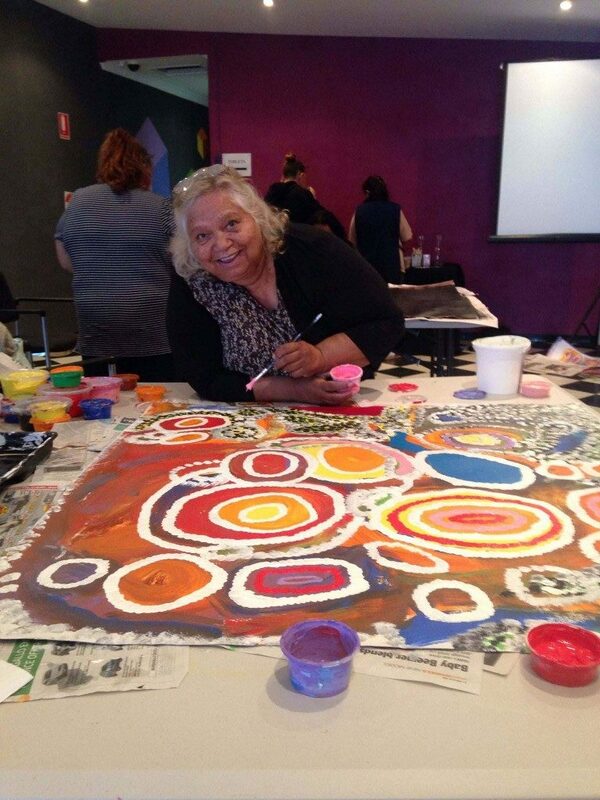 Yamaji Art were delighted to bring First Nation Artist Rolande Souliere over 5 days in Geraldton where artists were introduced to western impressionist Artists such as Monet, Matisse and Van Gough techniques and then combined traditional styles of dot painting with the impressionists styles to create a series of artworks based on wildflowers in the Midwest. 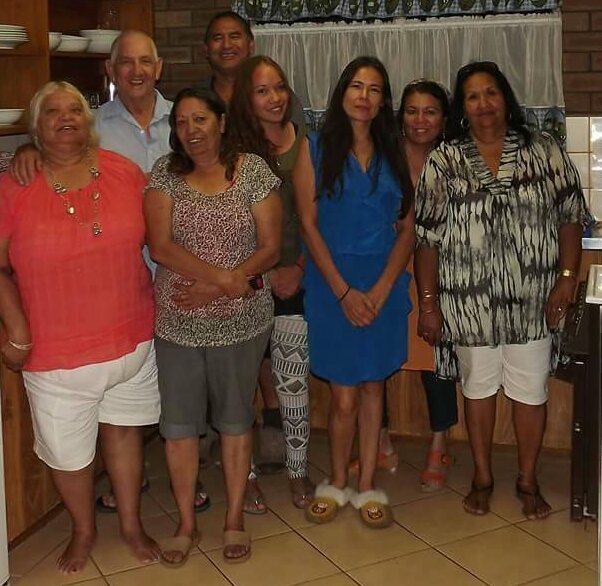 The paintings have been exhibited at the Geraldton Regional Library, Geraldton Visitors Centre, Central Park Perth, the Yamaji Art Centre and form part of our 2016 NAIDOC Exhibition at the Geraldton Regional Art Gallery. The Objective of this workshop has been met with the artists developing styles beyond the traditional dot painting style and continuing to explore the style. 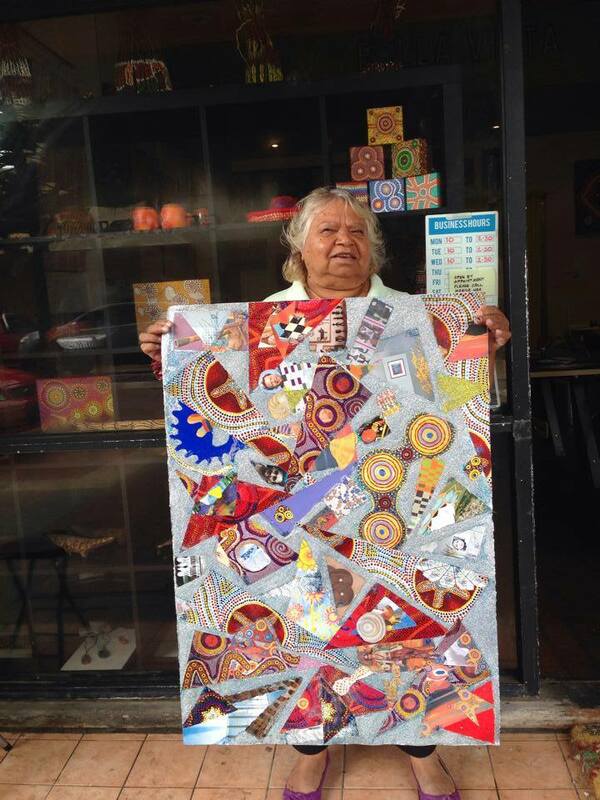 Yamaji Art would like to thank the Museum Geraldton for their ongoing support, and the use of The Wedge. Professional development presented by Anishinabe artist Scott Benesinaabandan based in Montreal Canada through Skype . 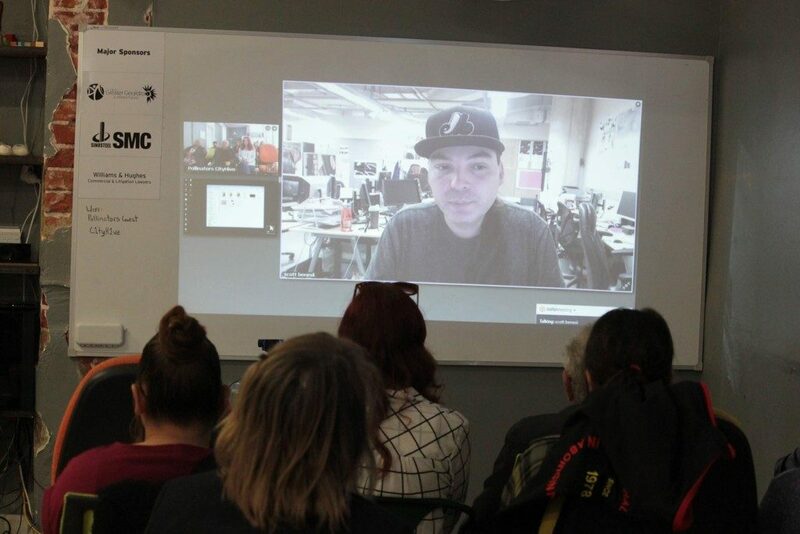 Scott spoke to artists about his current exhibitions in Canada – how he had developed narrative, concept, style and technique as an Indigenous artist in Canada. The Objective of the virtual workshop was to introduce artists to the process of developing a body of works including the research process taken and the stories and personal experiences. Yamaji Art would like to thank Pollinators for their great support.